The D-Link DIR-855 Gigabit Router is a 802.11n device that delivers up to 14x faster speeds¹ and 6x farther range¹ than 802.11g, while remaining backward compatible with 802.11g devices. Powered by Xtreme NTM technology and equipped with three external antennas, this router provides superior wireless coverage for larger homes and offi ces, or for users running bandwidth intensive applications. Connect the router to a cable or DSL modem and provide high-speed Internet access to multiple computers, game consoles, and media players. Create a secure wireless network to share photos, fi les, music, videos, printers, and network storage. The DIR-855 comes with dual-band function, which concurrently supports 2.4GHz and 5.0GHz radio frequencies, an LCD panel, and a 4-port 10/100/1000 Gigabit switch that connects Gigabit wired devices for lag-free network gaming and fast fi le transfers. The DIR-855 comes with D-Link’s Intelligent QoS technology, which analyzes and separates wired and wireless traffi c into multiple data streams. The DIR 855’s embedded Wireless Intelligent Stream Handling (WISH) technology improves wireless media by moving time-sensitive tagged traffic towards the front of the queue. WISH automatically detects multimedia, VoIP and online gaming applications, requiring no need for user confi guration. It works transparently with other QoS technologies to immediately improve wireless media speed. 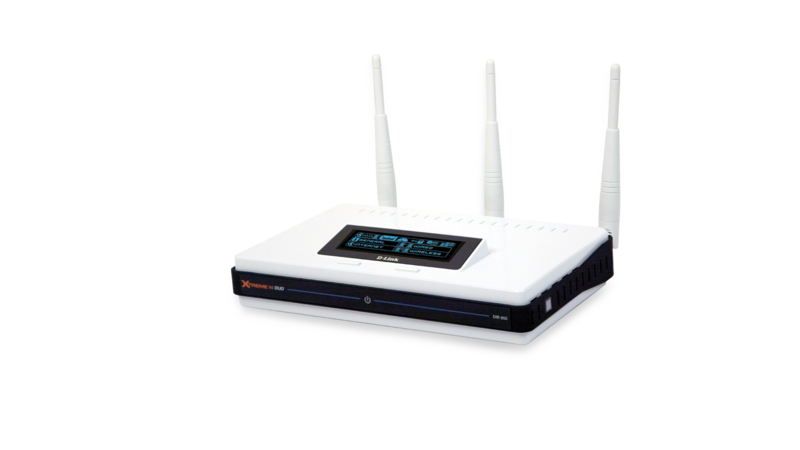 The Xtreme NTM Duo supports the latest wireless security features to help prevent unauthorized access, whether from over a wireless network or the Internet. Support for WPA and WPA2 standards ensure that you will be able to use the best possible encryption regardless of your client devices. 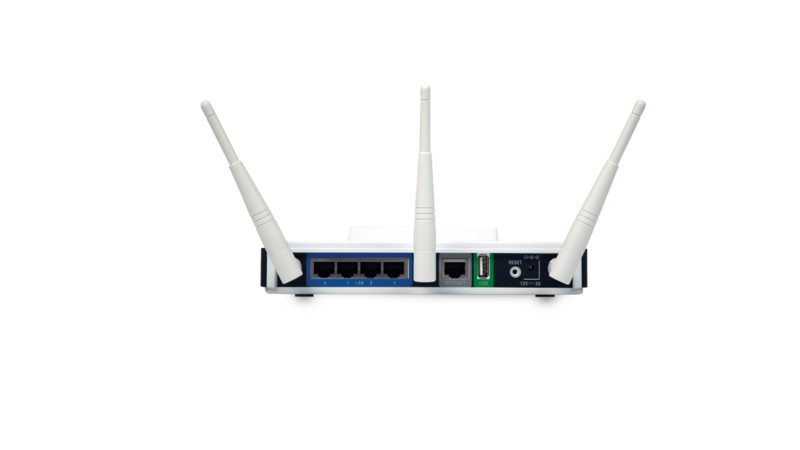 In addition to these extensive features, this router utilizes Dual Active Firewalls, such as SPI and NAT, to prevent potential attacks from across the Internet. Using the SharePortTM Network USB Utility, you can connect an external hard drive or multifunction printer to the router’s USB port to share disk space, printing or scanning functions among family members or a group of users. This USB port also supports D-Link 3G adapter connection, so you can connect your router to a 3G mobile service to provide Internet access to a group while travelling.